We’re Chick-Fil-A fans at our office. The great service, the clean stores, the nuggets, sandwiches, salads, frosted coffee, cookies; we like it all. We were intrigued to discover via Billboard Insider that the fast-food big-hitter began as a mall-based fast-food chain. According to Billboard Insider, when the company started opening stand alone stores, they turned to outdoor advertising to maximize their limited advertising budget. They were among the first to capitalize on three-dimensional billboards. The first ad campaigns featuring a rubber chicken didn’t take off. Then one day, an art director saw workers pasting a new billboard ad. He wondered what would happen if they took a break midway through the job…leaving the ad unfinished. The idea kept running from there, with the workers becoming cows and the cows pleading with people to eat more chicken. Sound familiar? 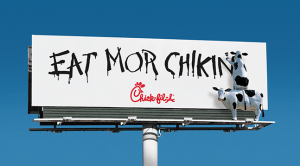 The Chick-Fil-A cows have gone on to make a splash – from their debut at the Houston Astro’s stadium in 2006 to starring in their own calendars. If you’re lucky, you’ll see them mingling with guests at the store, posing for pictures and sitting down at the table with you. In 2012, Chick-Fil-A became the #1 fast-food chain in terms of sales per store, reaching $3.1 million per location. The next year, they surpassed KFC in sales, despite having a smaller ad budget and closing on Sundays. Let an advertising professional assist you with your campaign. You’re best at running your business. They’re best at advertising for you. Oh, and make sure you go get some Chick-Fil-A if you were struck with a sudden craving after reading this article. You can also read about the time we used animals for advertising as well. At Roland, we’re always looking for ways to serve our customers to the highest possible standards. In order to help your business grow even more, we will be implementing some new billboard ad guidelines. These will help your ads have the most impact and return. The best part is, there is nothing you need to do on your end! Our designers will be making targeted suggestions and recommendations – all you have to do is approve the creative. I believe these stats because my husband saw a billboard ad for a Pebble smartwatch, Googled it, and after doing some more research ended up buying one. Since then, he’s bought a second watch and I’m on the market for one as well. People are looking, and people are buying. Hooray! That’s it! How are your ads doing? You can download our “Best Ad” guidelines here. If your phone isn’t ringing off the hook right away, don’t be discouraged. 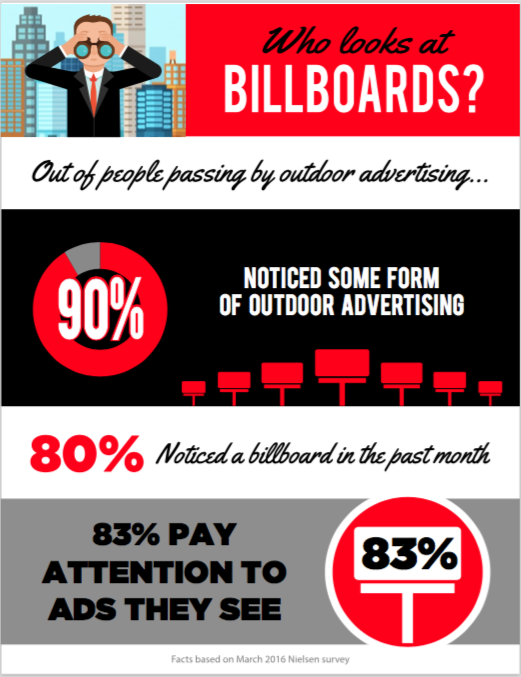 Billboards are a fantastic advertising tool but depending on your industry, it will take some time for your message to take root. It took my husband a year to really commit to the idea of purchasing his new favorite watch…BUT he’s now a loyal customer (he’s on his second watch), brand promoter, and I’m in the market for one as well. You can use your billboard ads for branding, announcing products, services, events; and for drawing people in and redirecting them to more information – via a website or social media page – to learn more about you. 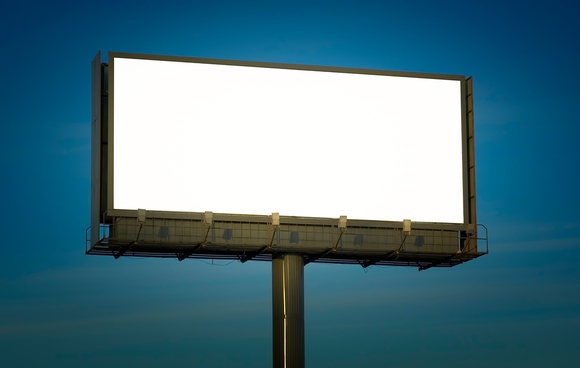 In the meantime, not sure where to start on creating an awesome billboard ad campaign? Let us help! You know your business best, but it’s our business to know how to advertise for you. 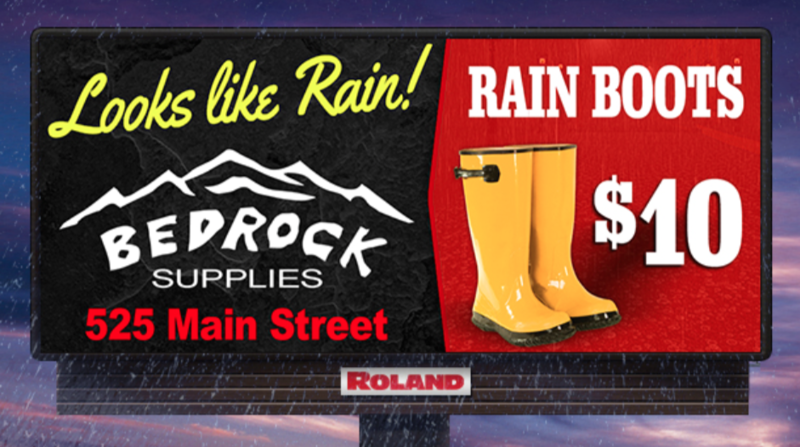 …a retailer that could advertise the need for an item based on the weather? …a radio station that lets people driving by tune in to what’s playing now? …a hospital that lets patients know they can see a doctor quickly? 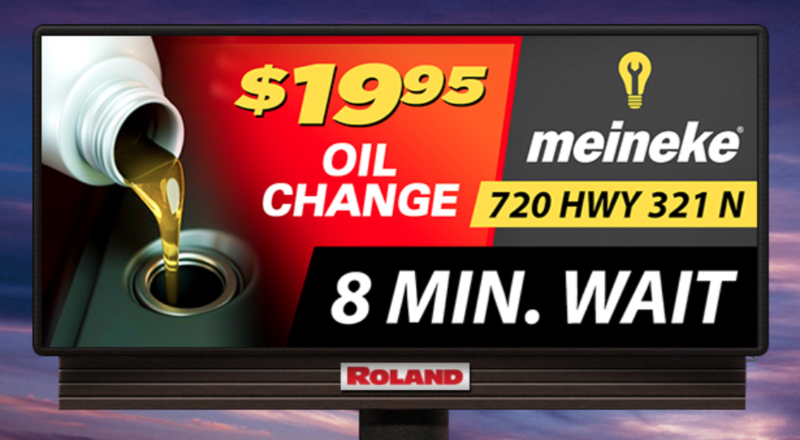 …a mechanic that could let people know there isn’t much of a wait for an oil change? …a business that wanted your social media efforts to go past personal screens onto a bigger screen? a sports team or sports fan that wanted to let people know the score for a big game? If any of the above looks or sounds intriguing, there’s good news. Thanks to the magic of the internet and forward-thinking product designers, companies like Watchfire Signs have programmed their digital billboards to support something called “dynamic content” – content that can change according to live feeds with customized information. Instead of displaying the static image typical of outdoor advertising, technology now allows business owners to change up their advertising based on real-time conditions like the examples given above. 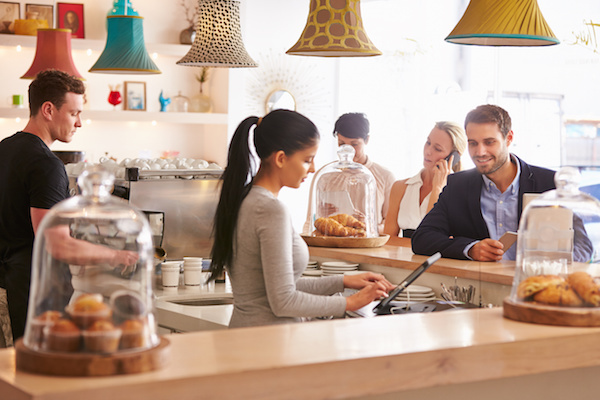 You can communicate specific messages to your customers based on time, temperature, social media streams, countdowns for specific events, and more. How could this change your advertising landscape? What can you dream up to tell your customers what you’re up to right now? Take some time to ponder; we’re here to help you make it a reality. 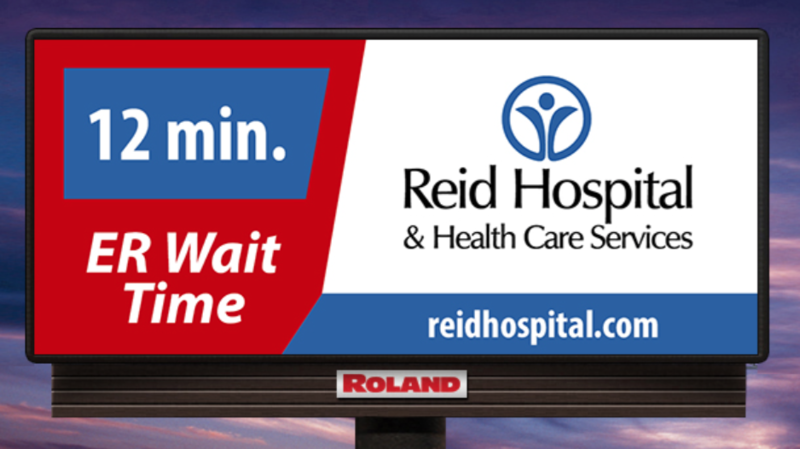 Thinking about getting a digital billboard? Already have one but not sure what to put on the giant screen of LEDs? 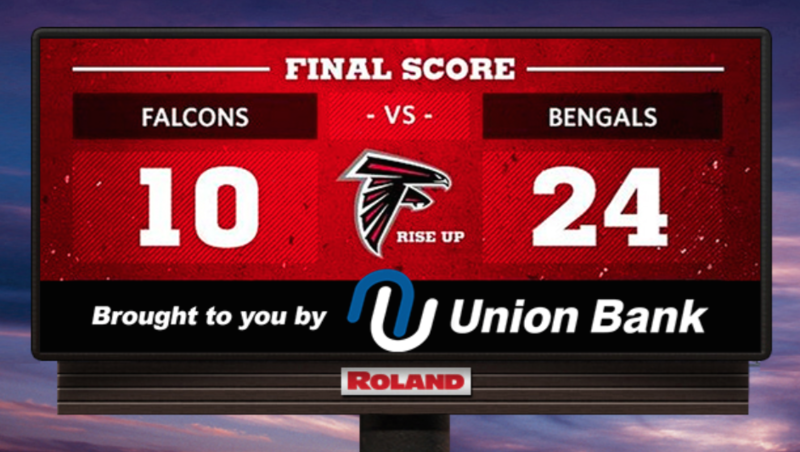 Here are some tips for maximizing your digital billboard space when it comes to content and design. Sit down with your marketing team and brainstorm a little bit. What do you want to highlight at your business? What are your goals for advertising? What kind of message do you want to convey? What time of year is it? These are all important questions that should be asked during a campaign design session. Call your billboard or advertising agency for ideas if you’re not sure where to start, or ask them to mock up a design for you based on your ideas. Remember, people are passing by in their cars or stopped at a light – they won’t have the time or attention span to look for details. Stick to one message or theme per ad and try not to clutter it up with too much information. Catch their attention, get your message across, and make sure they know the name of your company. Many people will do a web search for your business if you do catch their attention, so make sure you are easily searchable on the internet. Use your company logos, colors, and taglines to create and solidify recognition. If you don’t have an overall branding strategy, think about creating one with your marketing team or consulting a marketing agency. Funny and clever ads are easily remembered and create a positive reaction for the viewer. Caution – using obscure or obscene humor can do the opposite and create a negative reaction, so be careful when choosing your ha-has. Keep things fresh by updating ads every 2-4 weeks. 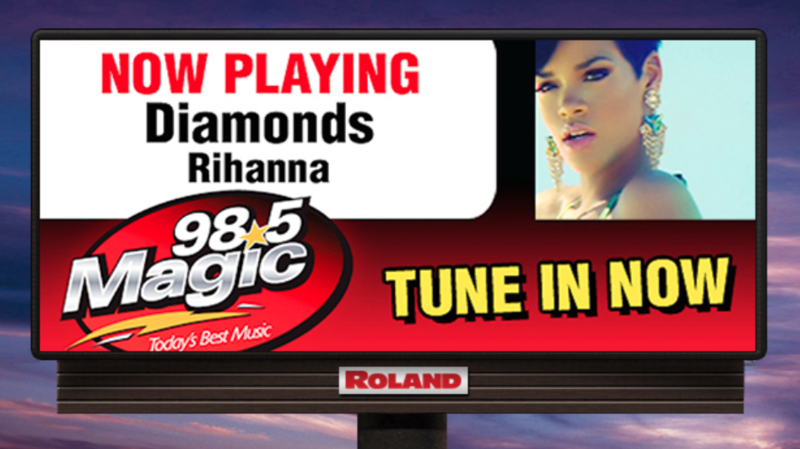 If possible, rotate your ads each month on different billboards within your service area to gain new exposure. 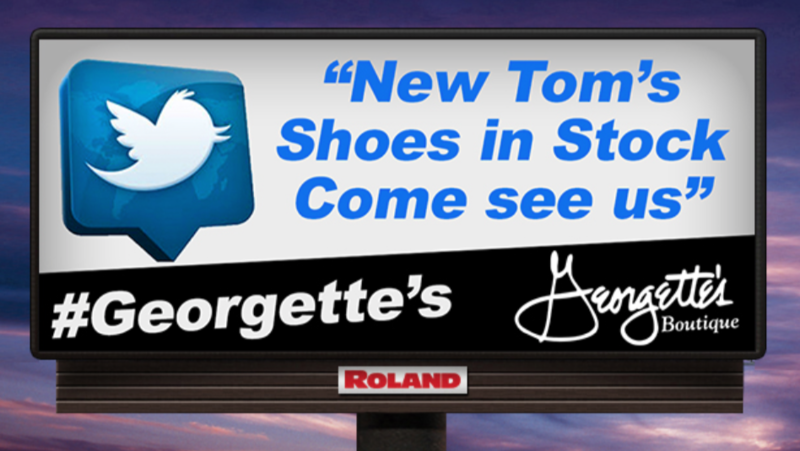 With a few tips and some creativity and thought, your digital billboard will go a long way for you.